PAM: Welcome! I’m Pam Laricchia from livingjoyfully.ca, and today I’m here with Alec Traaseth. Hi Alec! ALEC: Oh Hey, How’s it going? ALEC: Absolutely. I’m the oldest of three kids. I’m 25 years old now. I have two younger sisters. Abbi and Kyra. Abbi is 23 now, about to be 24. Kyra just turned 21 this year. And my parents are Kelli and Tim Traaseth. 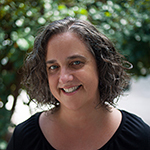 My mom’s been in and out of the unschooling community and was a big name on many forums and group a long time ago, so a lot of people have heard of her, but she’s been less involved online in the last probably five, six, seven years. PAM: Yeah, you guys got older. ALEC: Yep, yeah, as we got older, My father works as a pharmaceutical sales representative for Eli Lilly and we all live in Charlottesville, Virginia. And me and my sister Abbi go to UVA here in Charlottesville, Virginia, and my sister Kyra is working as a freelance photographer slash artist slash etcetera. Odd jobs, you know, all sorts of stuff. 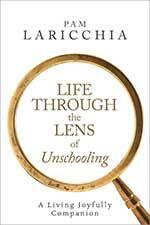 What do you remember about your family’s move to unschooling? How old were you at the time? ALEC: So I was, um, what is the second/third grade age group? Is that like nine or ten years old, I think? In first grade and second grade, my mom noticed that I started not really being engaged with school, not really engaged with life, not really wanting to get up for school. It wasn’t something that I was excited for after kindergarten and after going into first grade. And after a year of that, in second grade, she decided that she wanted to try something different. So, we started off with homeschooling and we had set things that we were supposed to do throughout the day—journaling that we were supposed to do and topics that we were supposed to select and do. And I went back to third grade for a little while. And then in third grade I decided that I wanted to go back to homeschooling on my own accord, and I asked her, “Can I just stop going to school?” and she said, “That’s fine.” And Abbi stuck it out—she was in second grade at the time. She stuck it out to the end, and then she joined me homeschooling. And then our transition to unschooling was very gradual, it was kind of the restrictions on us and the requirements imposed on us were just relaxed kind of organically over time. 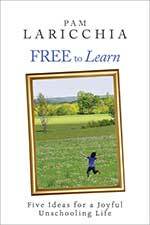 It didn’t really feel like, ‘Ok now we’re unschooling.’ It was more like over a long period of time—like maybe a couple of years—we started morphing into unschooling and specifically having more freedom; not having any set curriculum. And really being able to make our own decisions about what we were doing and what we were learning and so on. PAM: Yeah, I love the way you describe that as just kind of evolving organically. So, I guess as a family, now you’re living together, she gets to see you guys learning all the time, no matter what you’re doing. And comparing that to you know, the journaling, and just seeing the interest and engagement in it, and over time seeing how you’re learning through all sorts of different things. And you guys also I think, just feeling more agency over your choices as you were given that bit of freedom. Does that kind of make sense about how it evolved organically? And that’s one of the biggest things that I value from unschooling is that I was able to have control over what I was doing, what I was learning. And really, that’s how eventually now knowing what I like, what I don’t like, what I want to do, how to handle, how to control, how to take care of myself—I learned how to do that on my own in terms of eating well and sleeping enough and things like that. I was able to learn on my own without it being kind of forced on me. PAM: And then you pick up what works for you, too, because, once you get over that first hurdle of realizing, that they’re learning and that they can learn all the time, whatever they want, once you get past that learning hurdle, one of the most positive outcomes from it is that level of self awareness—that everybody can figure out how they tick, because it is so individual, isn’t it? PAM: Well, we will definitely remember to roll back to that! ALEC: Kind of some of the lack of agency and what that does, right? PAM: Oh, that’s so interesting! Maybe you could share a bit of what your interests were growing up and how you pursued them. 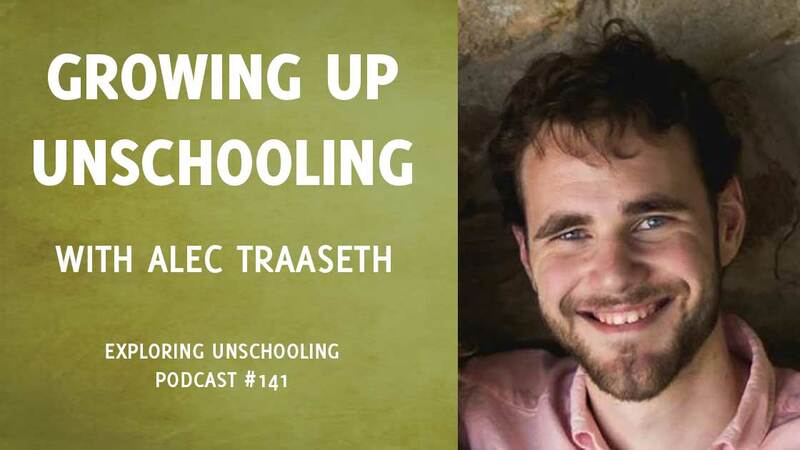 ALEC: I was always focused on one thing at a time, and when we started unschooling that for me was basically gaming. So I grew up gaming a lot, And as soon as I had the freedom to, I did that a lot. And a lot of people look at that and say, “I can’t believe your childhood was mostly gaming.” And aside from that, I also loved to play the drums, I loved music, but gaming really was the main big interest for me. And I think the main reason for that was that it provided a challenge for me. I sought out games that challenged me, that made me think. Basically, puzzles to solve, right? And that kind of ties into my eventual interest in math, but I was turned off from math at a very young age because I was forced to learn it in this way, and it did not happen naturally. It was this artificial construct that was being shoved in my face: “It works this way because I tell you it works this way!” And I wasn’t looking at it as a puzzle. But video games at the time where they were puzzles, challenges, things for me to solve. I was never one to get into sports. I was never one to challenge myself physically. Even when I’m drumming, that’s like the physical limitation. I don’t want to put in the physical work to play faster, because I like challenges in my head with the more technical aspects of it. PAM: Yeah, I think that would be a great thing that you mentioned to speak to a little bit is, because that is what I remember seeing with my eldest son too. I remember having video game discussions with your mom many years ago. PAM: Oh yeah, that’s right too! That’s the joy, right? There’s so much analytical thinking, like you talked about. Puzzles, and the mental challenge of figuring things out, whether it’s math, arithmetic on the fly, figuring out levels and hit points and all that kind of stuff! But the actual analytical thinking that takes place just to figure out the puzzle, even if it’s not a literal puzzle in the game, but the puzzle of how to get from one thing to the next, go from level to level, there’s really so much learning in there, isn’t there? ALEC: Yep, and that’s something that is lost on a lot of critics of video games, I think. And when I say I grew up playing a lot of video games, people are like, “Oh, that’s what unschooling is, huh, you just play video games,” but it’s not JUST playing video games. PAM: That’s something that we talk about so much, or that we suggest, is try playing yourself! ALEC: Oh yeah yeah yeah! And my dad does that. He likes a game called Snewd, which is where you’re shooting little things up and making things match, almost like a Bejeweled type of thing. And like, I can’t play those, I can’t play games like that, because they are kind of just mindless relaxation. And he admits it, and it’s cool; it’s cool to have a mindless outlet like that. If I had been doing games like that all day when I was growing up, I would have been bored out of my mind. PAM: You wouldn’t have chosen that—that’s the whole idea, right? Being free to choose what you’re doing. People think, ‘If the kids are just free to choose, they are just going to choose mindless activities. They won’t challenge themselves, they won’t choose things that take the mind to the edge of their processing capabilities, push them further.’ Even if it’s a physical interest that they have. Same deal. Why would they bother? ALEC: Right, exactly. That’s an attitude that develops based on being forced to do challenging activities that you don’t want to do. The difference is, are you challenging yourself with things that you enjoy versus challenging yourself with things that have been assigned to you. PAM: Well, that’s another great point because, another question to ask newer unschoolers is “Do you have a hobby?” Because we always devalue our hobbies, but boy, will we stay engaged with them, right? And we’ll put more effort. And yet, we feel guilty. We’ve been taught to feel guilty about putting time into those because they’re not, “real.” They are just something you do on the side. But it can really open people’s eyes to how people will willingly challenge themselves, right? We mentioned that we crossed paths at unschooling conferences and you guys came for a visit, and when we first connected about doing this call, you were at an unschoolers summer camp, and I was hoping that you could share a bit about your conference and camp experiences so that some parents who are curious about that can learn a little bit more. PAM: That’s the one we went to too! ALEC: So maybe you know which year it was then? PAM: Oh, 3, 4, 5? I think it was 2005? 4 or 5. ALEC: That sounds right. Because we went to…it ended in 2009? Was that the last one? PAM: We went to the last one too. ALEC: So, my entire family went to Live and Learn for the second one, up to the last one, and for me that was kind of my yearly interaction with other unschoolers, because I was living in Minnesota with my family and we knew, maybe one or two other families that kind of approached, were kind of doing something like us, but still not quite kind of thing. So to really be in my element with other people who were living the same life like me, Live and Learn was where that happened. It basically just turned into a long weekend where I got to see some of my best friends and play games with them and run around a hotel. The hotel staff certainly hated those groups, but for the most part keeping it civil, so playing games, meeting new people. That’s where I made all of my unschooling connections that I still have today with all sorts of families. The Bowmans who run ETUSC, which I’ll talk about in a second, the summer camp. The Lovejoys who ran Live and Learn. The Kreams up in Boston are still very close with my family, because of Live and Learn, and we still see them sometimes. And so on and so forth. For my parents, these conferences were important as well, because they got to go and see other people doing this new, weird thing that they weren’t entirely sold on yet, and seeing them thriving—these people thriving as unschoolers. And going to the talks and the speeches that were being run by unschooling parents, and occasionally unschooled adults. Unschooled adults were pretty rare back then because it was such a new movement still, right? We were the guinea pig unschooling generation, of course. But, so that was extremely beneficial to them, being able to hear from other parents, set their minds to ease, just hearing all these different experiences. And then also there’s just these what they call funshops, right? These workshops that were just a blast, so, our whole family enjoyed them every single time. And there was something for everyone. If I just wanted to stay in a room and play games with a friend, or if I wanted to go and learn how to hula hoop or whatever. They had more serious ones too, the funshop ones—not that hula hooping is not serious. My youngest sister is a very serious hula hooper, excellent hula hooper. So that’s my conference experience. I also went to Cameron’s—Kelly Lovejoy’s son’s—his Autodidact Symposium that ran one or two years. I went to that once, which was a very similar thing to Live and Learn. I also went to Life is Good once, out in Oregon, or actually it was in Vancouver, Washington the time I went I think, run by, that’s Mary Gold. That is still running, I believe. So that is one of the options. But when I was there, that was a very similar experience to Live and Learn. A good way to hear from other people living as unschoolers, meet them, and make connections with them. And then, uh, the summer camps. That’s something less for a family—conferences really appeal to entire families, of course. The summer camps are just for the unschooled children; the kids. The only one I’ve been going to, and the only one I’ve been to is ETUSC, East Tennessee Unschooled Summer Camp. It started eight years ago, so this year was our ninth ETUSC, and it’s run by Laura Bowman, who I’ve been friends with for a long time. I went to the first one as a camper, and that was interesting—it was kind of a startup so basically every parent who knew Laura sent their kids to the camp, because those were the people she was connected with and was able to sell the camp to. So kind of by proxy I knew all those kids through Laura. So, it was just go and hang out with 30 people that you already knew and have a fun week, and it was great. But then what ETUSC became was even more amazing, because the word got out. Now, when I go, I meet all these new unschoolers, ages from as young as 12 all the way up to 18, sometimes 19, all at this camp, and you just are amazed by how many people are unschooling and you don’t even know them! Because it used to be like, “Oh, you’re an unschooler, then you clearly know this other unschooler.” It’s like that stereotype where like, “Oh, you’re Filipino? I know another Filipino person! You must know them!” It’s like NO. We are not just this weird tiny group! We are actually a true minority in the education system! There are all these people who show up every year that I’ve never met, and it’s really great, aside from just the people who are there, what we do is really fun. We have workshops throughout the week led by staff. We have various activities meant to help other campers bond with each other. You know, rock wall climbing, outdoor ropes courses, we’ve got a couple of pool days, there’s, of course, a dance. There’s a talent show for people to go up and show off what they are able to do. A skit night for all the campy skits. And also mentor groups are a big thing that they stress at ETUSC. And that’s what I’ve been doing for seven years now at ETUSC. I have a mentor group. Every morning I have a group of kids I’m responsible for, and we meet. The goal is to help new campers, people who haven’t met somebody yet, connect immediately with another group, and it gives them an opportunity to meet other campers without having to take that step themselves. Your kids, if they go to a place like this, even if they don’t know a single person yet, they are going to make connections within that first couple of days because you can’t avoid making connections. And once you’ve made a couple of connections, it becomes so much less intimidating. A place like that for people who isn’t used to big groups is really intimidating. So it’s a place that makes every single person there feel welcome, no matter who they are, no matter their gender identity, orientation, etcetera, and they are able to connect with other campers and do awesome things throughout the week and as a mentor, I get to help facilitate that, and I get to help encourage that and watch them grow. I always have a few campers that are kind of attached to me like glue because I’m the one connection I have, the one person they know. And then usually by day three, two or three, I just never see them ever again because they’ve got their people that they love hanging out with. And seeing that each year is just really fun. And, yeah, that’s pretty much what I have to say about ETUSC. PAM: It sounds like such a fun experience for you. ALEC: Oh, it is. I love it. PAM: To focus on facilitating that for people, and how wonderful too, like, as you said, unschoolers are still a pretty small group, and to be able to bring together other teens to see other kids that are living the same kind of lifestyle, in general, that they’re used to. So they are not so much the odd person out now, you know what I mean? It sounds really inspiring and lovely for them, as well. Yeah? There is one other well known camp, as well, Not Back to School Camp. That one’s in Vermont and then in Oregon, I think. So, those are the only two unschooler only camps and I say only, but we have had kids come who are in school, mostly because they have connections to the unschooling community, but those are the only two that I know of that are marketed for unschoolers. There’s not a whole lot of options, so that’s why we have people coming in from…let’s see, we have people flying in from New York and California and from Florida, and me driving from Virginia, all to this place in Tennessee to meet up and have a good week! PAM: Yeah, that sounds awesome! And yeah, that’s why, we’re in Canada, driving down to the States for Live and Learns and all sorts of other conferences and camps over the years because it’s nice to connect face to face with your tribe for a while. And, like you said, my kids stayed in touch, and they still have friends that they met there. It’s so much easier online now! I remember after Live And Learns it was like email, right? People were sending emails back and forth. ALEC: I feel I aged myself like ten years when I say that. PAM: I know! But yeah, I think that it all depends on the person, the child too, the teen—what they’re interested in. They may not be interested in it, but if you think they may find it helpful to connect with other unschooling teens just to see the fabulously wide ranging things that they are up to, the things that they are interested in, the talents that they have, and just hanging out together—it can be a life changing experience, I think. So thanks for helping! ALEC: Yeah, of course. And I don’t believe any kid should be forced to go to the summer camp of course, but I have witnessed kids who were forced to go to ETUSC, and they still came out of it as a fantastic week, so that was promising, although sad that they were forced in the first place. PAM: In the first place, yeah. ALEC: And then one other gathering that I wanted to mention is ARGH, have you heard of it? PAM: I’ve heard of it. ALEC: So ARGH is another one run by Laura Bowman who runs ETUCS, and that is a family one, but it’s like if you took unschooling conferences and kind of mixed it with ETUSC. So you kind of get the families together going to an event, but also your camping essentially at this one. Except this one’s in cabins. You get a nice cabin entirely for your family. So, for the people who just enjoy a nice, relaxing vacation in a cabin and they don’t want to talk to anybody for a few days, this gives them that, but then also there’s a communal area for people to go and hang out with other unschoolers, and that one appeals to families with much younger kids, so there are always nerf wars going on with three, four, five, six year old kids running around like crazy, and also adults get to spend a lot of time and get to know each other, so that’s kind of to appeal to the other age ranges as well. PAM: Well, that’s very cool. Yeah, so it’s like a campground, family gathering thing. 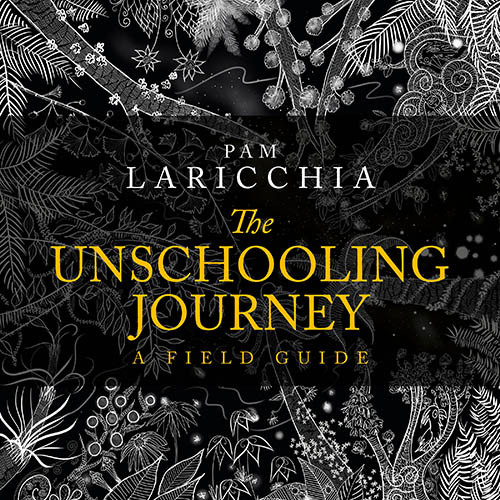 PAM: And you know that there will be other unschooling families there. ALEC: Exactly. And there are also scheduled workshops. The things that it doesn’t have that a conference has are the speeches and the talks and the like, “Here’s why you should feel ok about this homeschooling,” and stuff like that. So, maybe less of a thing to go to as a brand new unschooler and more for just the social aspect and the vacationing with other unschoolers aspect. PAM: And the connections you can make and the conversations you still have with other unschoolers. ALEC: And those conversations still happen. They’re just not organized, they aren’t catering to “Come here if you don’t have any idea what unschooling is and you need to learn.” They’re not catering to that, but that certainly happens still. PAM: Yeah, exactly. So now I thought we would move on to your college years. ALEC: I can talk a LOT about that. PAM: A lot about this. Let’s start with your choice to go to college and how that developed for you. ALEC: Okay. I started college when I was 22, which is you know later than traditional, but at 18 I knew that I wasn’t ready to start college because I didn’t really have any idea what I wanted to do or what I would go into. So, from 18 to 22—that four-year gap—I worked several different jobs just to get some experience. I worked pizza delivery, I worked at a grocery store for a little while, kind of typical entry level stuff. And then I got a better job with a moving company for a while that I did for about a year. And for a while I was thinking, it was a very small, local company in Charlottesville with a great idea behind the company. What they were trying to do was declutter and help people who have way too much stuff, get rid of stuff. It was a service that was really good and not really offered by any other companies. So, I thought for a while, maybe I can stay here and work my way up into management positions or something like that, and eventually, make this into a living kind of thing. But I ended up changing my mind pretty quickly because the owner was a terrible person to all of the employees. So, looking into PVCC, community colleges have open door policies, typically. You don’t take any tests to go in, rather you get in automatically, and you take a test to figure out where you start, a placement test, and so that’s the next thing I started researching: what’s going on with the placement test. There’s an English portion to it, and a math portion to it. The English portion I was confident I’d have no problem with. I’d spent the last ten years communicating online with other people, everyday. I played a lot of online games as well and that was a big part of it. The math though, that was a concern. I had been turned off of math at a younger age, so I hadn’t really looked at it since the third grade, pretty much. I had done plenty of arithmetic, plenty of arithmetic in everyday life and I was actually really good at it too, since I had learned how to do it on my own. Just by what makes sense and what was logical, I was able to develop little shortcuts and techniques to make more complicated computations easier in my head, so you know, that right there is kind of hinting at how my passion for math ended up developing. Anyways, I didn’t have any algebra experience at all; I couldn’t even solve a linear algebra one equation, just because I’d never done it. I knew that if I went and took a placement test as is, I would start in the developmental math, which, there’s nothing wrong with that, but I wanted to test out of the developmental math if I could. So, there’s an online resource called Khan Academy which maybe has come up before for you I’m guessing—it’s very popular for unschoolers. It was kinda late in the game—I enrolled less than a month before classes actually started—so, that was great, because community colleges are very flexible about that, and up to classes starting you can still enroll as a new student. So, even though I decided kind of late in the summer to go, I was still able to. And so I had this really wonky schedule because I had to fit all these classes together that were still available, which were a lot of evening classes and weird times that people didn’t really like, typically. So, I signed up for that precalculus class, an English class, their mandatory orientation type thing, and a PE class. I decided I’d just take it easy, take the 12 hours, minimum full-time load, and see what happens! And everything ended up being pretty easy overall. Precalculus was very intimidating at first, but, once I got through that first test and saw that I was doing all right, that was a huge boost of confidence. I think I had a bit of a chip on my shoulder, like, “I haven’t done math in this long—I’ve got something to prove.” The pressure felt—it was self-inflicted pressure, of course—but also kind of societal pressure as well. But once I got over that first hump, passed that first test, it was smooth sailing from there, and I found I had so much free time it was kind of silly, so I upped my load the next semester, took a few more credits, and got a job as a teaching assistant for precalculus. But, one of the things that stood out to me was the professor showed us how much writing each major does, on average. I think it was at a large university in Texas where they got the numbers, but engineering is the most writing of any major in college, and I was like, ‘Writing papers, it’s not really my thing.’ Really never was my thing. My sister, she’s a linguistics student and she gets to write all the time and that’s great, but that’s not really for me, and I didn’t really know what I was getting myself into at first with engineering. But yeah, it has a lot of writing, more than any other major. But what I noticed on the bottom of that list was, ‘Hey, math has the least writing!’ And you know, the fewest pages per year written. And, on top of that, the class that I was consistently looking forward to, every week, was my math class. The previous semester I had a very influential and inspirational math instructor—he talks about, “Oh yeah, I was Alec’s first math instructor in his life!” because I told him that eventually, and we talked a little about that. It was a very, very formative experience for me. He was able to teach math not as this formulaic, procedural thing where you learn an algorithm and you follow your algorithm and get the answer, but rather, as a puzzle—as something where you need to figure out how it works in order to solve the problem. You don’t learn how to solve the problem. You learn how it works and then you can solve the problem. I pondered it for a few months before I made the leap. Because engineers, you know, they make pretty good money. But, I went and talked to my advisor, and PVCC did not have a math major, but I was able to switch to basically a liberal arts major, and I decided, instead of trying to complete the associates degree at Piedmont, I’m just going to target the classes UVA needs, rather than try to get my associates degree. So, as of right now I still don’t have an associates degree, and I’m in my fourth year now—second year at UVA, fourth year of college. And so, yeah, that’s kind of the major transitions for me. And there was a pretty big transition from Piedmont to UVA, but that honestly was very routine to me. I’m just doing more of the same, just at a different location now. The biggest transitions were definitely starting college and getting my math caught up, which I want to stress, anyone can do—if you want to. If you go to high school and you do all that math and then you take a five-year break. If you didn’t do any math in those five years, you would start in developmental math. Just as I was going to, had I not done any. It’s something that I see all the time as a tutor of two years now. And also, no matter what situation you’re in, you can go and catch up. There’s no reason that you can’t learn everything that was taught in high school faster and more efficiently for yourself because you can cater to your own learning style. You can cater to your schedule. You’re also doing it for your own interests. You have a goal you want to accomplish, you can do it so much more efficiently, and you are going to retain it better than someone who is told they have to learn it. So yeah, those are the big factors for me that allowed me learn math quickly, get caught up, go to college to eventually transition into a math major because engineering was just not for me. PAM: I love the story. Thanks so much for sharing it Alec. That piece that you’re emphasizing there, that’s a huge piece for unschooling parents, especially people who are coming new to unschooling. Because they are always like, “Is my child going to be behind? They are going to be behind.” And you talk about how much easier and more effective that learning is when it’s something you’re interested in. It’s not like you were growing up, sitting in a corner not learning anything. You were learning so many things. So it’s not like you were behind, it was just a different set of things you were choosing to learn. That eventually fed—because our interests are connections, little things we are learning along the way. Like you even talked about how you’d been picking up little bits of arithmetic tricks that you were doing for yourself along the way. It’s when you look back, you can see the threads of how that interest just weaves through your life. It’s not like somebody is likely to take a 90 degree turn completely—I mean, in that it’s something completely new and unknown to them. Everything that they are doing when kids learn what they are interested in is very likely to feed into whatever new paths they pick up later on. So it’s not like you lost any time! This whole definition of ahead, behind, etc, is really artificial, right? It’s just kind of created from that school curriculum. And like you said, when you have an interest and want to pick something up, you can pick up that chunk of learning at any time, at any time you need. Right? ALEC: Yep. And also, I mean, just the notion of somebody being behind doesn’t really make sense, because you talk to most adults, and I know my parent have forgotten most of the math they learned in school. Are they behind? ALEC: I don’t think they are behind! That can be solved! 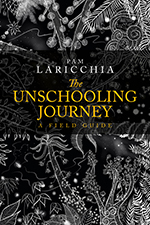 PAM: That is something that helped me when I first started learning about unschooling, was looking back at my career, right, because I am an engineer—was an engineer. ALEC: What type of engineer? PAM: When I went from high school, I thought biomedical engineering, so that’s how things change! And once I got out and was working in engineering. I ended up always working on the computer side, on the systems side, which when I look back, that’s my thread! My systems thread. My love of those kinds of questions, of processes. So I was working with maintenance engineering groups and helping them figure out their work processes, etc. ALEC: Oh cool! Kind of like a systems engineer then. ALEC: Yeah, cool. My girlfriend’s dad is a systems engineer at UVA where we go to school, and I talk to him a lot about all the stuff that he loves and that theory and stuff so that’s cool. PAM: Yeah, it’s very cool! But that was the point. I knew all the math and all the physics and everything that I learned at university, and then was actually working as an engineer, and I knew how much I forgot; that I really had no need for. So, that was something that was really helpful for me to realize that the stuff that I remember and am good at is the stuff that I’m interested in; the stuff I need to know every day. And even that was a helpful way to start understanding why it was ok that unschooling focused more on interests rather than curriculum, because I saw the curriculum stuff just falling out of my brain as it was. ALEC: You know, I was forced to take a German Intensive this summer and I took two years of German in eight weeks and it’s already falling out of my head, because, why did I take it? I took it because of an education requirement, not because I had to learn German or I wanted to learn German. Which, so, life has enough hoops already, especially if you choose to go to college. Why do we have to impose more hoops on children before they get to that point? PAM: Yeah, that’s a great point too. Do you want to take a couple of minutes to speak to what we were talking about before, your transition to college and the other college students and the level of self awareness and stuff. So, this problem exists less at UVA, just because to get into UVA, you have to be a very driven person already. They have a very low acceptance rate, so I haven’t really seen this at UVA, because the people who don’t know if they want to be there typically aren’t going to be there. But at PVCC, a lot of the students are there because their parents say, “You have to do college. It’s the next thing you do. I’m going to pay for it. Here you go.” They are kind of aimless while they’re there. You’ll be in classes with them, and they aren’t entirely present, they aren’t entirely engaged. They are thinking about something else. They want to be somewhere else. And they can struggle because they don’t have an intrinsic reason to be there. They aren’t self-driven. That’s one of the biggest differences. And this wasn’t everybody of course, but this was the biggest differences I noticed between people who were really successful at Piedmont, and people who were maybe struggling and not doing as well. ALEC: I did very well while I was in German. I was speaking it and everything. As soon as the goal disappeared, I mean well that’s a separate topic entirely, but as soon as the goal disappeared, the German started falling out of my head. ALEC: That doesn’t even make sense! PAM: Exactly! And how hard it is for them to stay engaged, to be interested, to want to show up day after day. It’s just a rough experience for them. ALEC: Yeah, because I already disagree with a lot of the hoops that college sets for you. For example, I think general education is actually too restrictive. I had to take courses that I was literally falling asleep in, even though my end goal was something I was interested in already, so that was a problem. If you are being forced to jump through those hoops and you’re having these hoops imposed on you and you’re not enjoying the classes. That’s too much. PAM: And your parents are still judging you on how well you do there. I’d like to hear a little bit about what your plans are for the next year or so. So, you’re at UVA? ALEC: So, a year ago I transferred to UVA. I’ve had my first year there and it went really well. After this coming year I’ll graduate with my bachelor’s in math, and then my hope is to continue grad school at UVA. Id’ like to stay in the area and work on a doctorate in math. So, this semester I am working on GREs, I’m taking the GRE for math and the general GRE, working on those. And also hopefully doing a research project on hyperbolic geometry with one of the professors—I need some more research on my resume to really be extremely competitive for grad school. But if I can do that I think I’ll have a good chance of getting in their doctoral program for math, and then honestly, that’ll be my life for the next four or five years. And then after that, to piggy back off of that, I hope to teach math ultimately, at the university level is what I’m aiming to do. PAM: OH that’s awesome, that’s very cool. And is that, is that … hyperbolic geometry? ALEC: Hyperbolic geometry? Um hum! PAM: That’s one of your favorite areas of math? ALEC: I don’t know yet—I haven’t actually studied it yet. And that will be how this research area is, it will be an area I don’t have any experience in. My experience so far is kind of in the typical analysis, algebra. I’ve taken my first courses in real analysis and abstract algebra. And this semester I’m taking another course of algebra, topology, differential geometry, so I’m starting to finally get into the more advanced fields of math that I could eventually choose one and specialize in it for a doctoral program..
PAM: So, it’s exploring the more funky areas now, right? ALEC: Yeah. Oh yeah, it’s getting weird. It’s getting weird very quickly. I don’t know how much you remember from, I don’t know if you took any proof-based math, but it can get very weird in some of them. PAM: Yeah, Yeah, hmmm… I won’t get into that. PAM: Yeah quiz me, ha. I was trying to think, what what’s my favorite areas? PAM: Well I mean, calculus was a very interesting one, because diving into that first year. That was one of the courses that you. Because I went to a school where you did do engineering the first year. So you did do engineering in the first year, and that was kind of the dividing class, because if you could get through calculus, then, because it was general first year engineering, and then you specialized after. So then I did engineering physics, after, and I liked that. It was fun! I liked math. I love math! So I was fine with engineering, because they were like, “Well, if you take engineering physics, then you have to keep taking math.” And I was like, “Well, that’s ok. That’s fun!” But when I look back, I realized, our math professors were engineering professors, so they were all about. ALEC: And as you probably know if you had any peer math friends, that so just goes against what we do. PAM: Yeah, I would have enjoyed that. The funkier. The fun stuff. Yeah. ALEC: And calculus is something that I have been able to become so familiar with because of my tutoring as well, because I’ve spent the last two years tutoring, and that’s the thing that I tutor the most is calculus. And so, that’s been pretty fun, and that’s part of what’s helping me see that teaching is what I’d like to do. PAM: That’s very cool, because you can actually sit and chat about the problem, right? It’s not all about the “right answer.” Because so often it’s like, “I’m doing this, but what does this actually look like in the real world?” And as you’re plowing through an engineering degree and all those courses, it was not about the real world, per se. It was all just, here’s your analysis, here’s your situation, plug your numbers in and that’s it. But anyways, no more complaining about that! 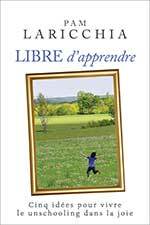 The last question I would love to ask you is, as a grown unschooler now, what piece of advice would you like to share with unschooling parents who are just starting out on the journey? ALEC: That’s a hard question. Honestly, the best thing that my parents did for me was give me the freedom to make my own decisions. Kind of a universal freedom to make my own decisions—you know, within reason—but when it came to what I put in my body, what I spent my time doing, when I slept, I was given the freedom to do all of those things. And it allowed me to make some poor decisions at times. 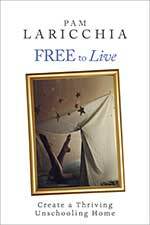 And learn from that and eventually become the healthy person that I am now, who I really feel like the self-awareness that I gained from that—the fact that I know my body so well, I know my interests so well, I know myself so well—I think that’s what it’s come from, that universal freedom I was given by my parents. So you know, it’s hard to let go, but it helped me so much! It helped me in so many ways! But I know that letting go is probably the hardest thing to do as a parent probably. PAM: Yeah. I love that piece. And I love that you threw in there that, ‘within reason’ thing, and the—I was going to say, poor choices. But they weren’t poor at the time. They were the choices you had to make to learn! ALEC: Oh no, I made poor choices! Are you kidding!? Was it a good idea to drink a gallon of Kool Aid a day? It tasted really good, but I didn’t feel so great. And then, “Maybe I’ll try more water.” And now at 25, I’m drinking nothing but water, and everybody around me has got their Diet Coke, or whatever. Not everybody, but the rates of drinking very unhealthy things is way up, and I got that out of my system and learned what that does to me on my own terms, and have been able to establish healthy habits for myself. PAM: I know. It’s paradoxical, isn’t it? ALEC: Having had the freedom to drink really terrible things, now I don’t want to! And I feel like if I had had it restricted from age, you know, zero all the way up to 18, 19, when I was an adult, it would be much harder to form healthy habits because I want to be healthy, because the only thing stopping me from drinking it before would have been this restriction. Well, if you’re avoiding something because of a restriction, well, then it’s not for yourself. You have to learn to do something like that for yourself, and that’s what I was able to do that from a very young age. Now, the within reason, of course, I’m not saying you have sugary snacks laying all over the house and they are eating nothing but that and there’s, there’s common sense stuff too, right? 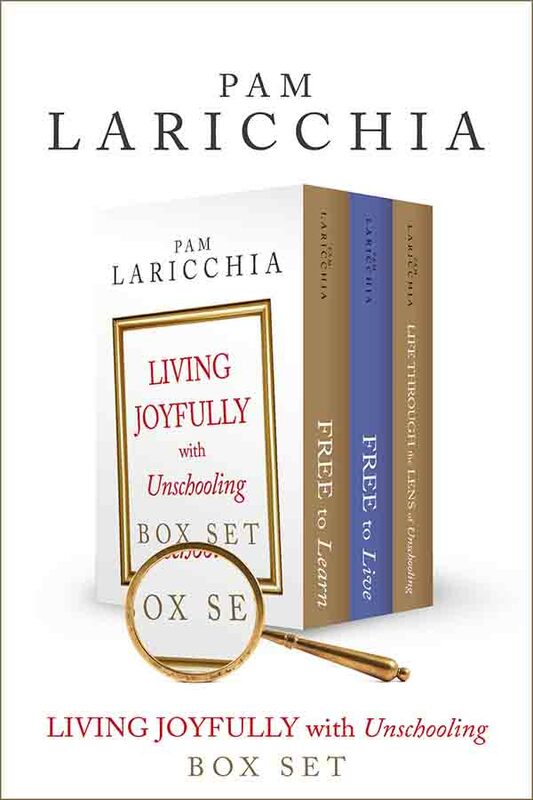 PAM: It’s like when parents new to unschooling hear, ‘Give the kids freedom, their choices.’ It’s no, the within reason part, but it’s within the child’s reason. It’s having conversations with them, and it’s helping them process, it’s, ‘Oh gee, what happened after that?’ Maybe that stomach ache is related to all that. Just helping them learn from it, not leaving them to try and figure it all out in the dark. ALEC: Exactly. And that is, you brought it up, but the only thing I would have said if I had thought of it myself first, is definitely the communication. 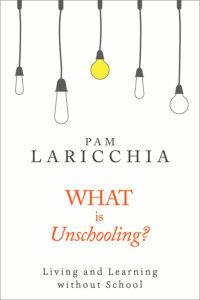 Unschooling is not unparenting. They are unrelated. There is no connection between the two. My parents also always communicated to me and wanted to make sure I knew that yes, those unhealthy things I was doing were unhealthy and they wanted to make sure I knew that while I was doing it, but I still had the choice. And that’s what allowed me to choose not to do that for myself anymore. PAM: Yeah, because if someone is telling you, when they take away that agency, when they take away that choice, then your choices aren’t about you anymore, do you know what I mean? Like if they were judgmental—if they were sharing information about, “You may not be feeling well because of X choice.” But if you could tell that they were trying to control you, your choice would be more in reaction to their judgement than would be to you actually learning, gaining that self-awareness, and making that choice for yourself, right? PAM: Well that’s awesome. Thank you so much for chatting with me Alec! It was great chatting with you and getting to hear what you are up to. Glad you’re having fun! ALEC: Yes, I am having fun. It’ll be crazy, but it’ll be fun. Thank you so much for inviting me. I had a great time. And before we go, where is the best place for people to connect with you online, if they can. ALEC: No, I’m definitely cool with that! You can find me on Facebook as Alec Traaseth, it’s just my regular first name and last name, and I should be the only Alec Traaseth on Facebook, still, I think. I’m one of very few Traaseths in America anyways I think. It’s kind of a very rare name. But also if you wanted to send me an email, I could give my email out as well. It’s alectraas at yahoo dot com. So yeah, Facebook or email! PAM: Oh that’s great! Thank you so much! ALEC: Alright, thank you so much. You too.